The 501st have always been a charitable force in Star Wars fandom. In Star Wars Stormtroopers: Beyond the Armor, their contributions are celebrated. If you’ve been to a pop culture convention recently, you’ve likely run into the 501st Legion. But beyond livening up the convention circuit with ridiculously fun activities, they also give back to their communities in a huge way. Founded as a volunteer organization, the 501st have always aimed to raise awareness and money for several different causes. As you can see below in this touching exclusive image, which features in the incredible Star Wars Stormtroopers: Beyond the Armor book, they are always emulating the heroes of our favorite galaxy far, far away — despite being cased in the armor of the villains. Just in time for the next blockbuster, Star Wars: The Last Jedi, this unique and beautifully designed compendium with removable features traces one of the franchise’s most iconic characters—the stormtrooper—from initial development through all nine Star Wars movies to their many iterations in TV, comics, videogames, novels, and pop-culture. Star Wars: A New Hope, the very first installment in the beloved science-fiction series, introduced the Imperial stormtroopers—the army of the fearsome and tyrannical Galactic Empire. Charged with establishing Imperial authority and suppressing resistance, these terrifying, faceless, well-disciplined soldiers in white have become a universal symbol of oppression. Star Wars Stormtroopers explores these striking warriors and their evolution in depth for the first time. Ryder Windham and Adam Bray trace the roots of their creation and design, and explore how these elite troops from a galaxy far, far away have been depicted in movies, cartoons, comics, novels, and merchandizing. Filled with photographs, illustrations, story boards, and other artwork, this lavish officially licensed book comes complete with removable features, including posters, stickers, replica memorabilia and more, making it an essential keepsake for every Star Wars fan, as well as military, design, and film aficionados. The 501st Legion, nicknamed “Vader’s Fist,” is a volunteer fan organization, which was founded by Albin Johnson in 1997. Since then it has grown to more than 10,000 members from about fifty countries. Their website says, “Some fans are content to collect action figures…other fans want to be action figures.” Though the 501st is not officially affiliated with Lucasfilm, Disney does grant the organization permission to use Star Wars character likenesses for their activities. 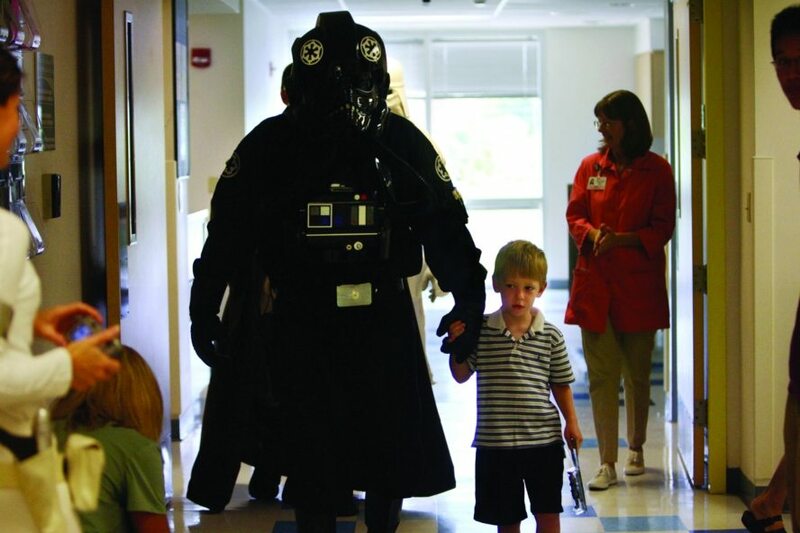 The 501st are renowned for their charity work, particularly concerning children with illnesses. Fans may know Johnson via the story of his daughter, Katie, who was diagnosed with terminal cancer in 2005. The R2 Builders Club made her a pink astromech named R2-KT. Since her passing, Johnson continues to tour the country with the droid to visit sick children and raise public awareness of pediatric illness. R2-KT and the 501st are credited with raising millions for charity, and the little droid has gained further notoriety, and an induction into official Star Wars canon, by appearing in The Clone Wars and The Force Awakens. There are three things that Johnson would like fans to know. “The 501st is a family, first and foremost. It is rooted in the belief in building a home for fans, and the love and fun of costuming is what makes the club special…. Second, it is important to realize how selfless the Legion can be…We are dedicated to doing good work to help our communities, spread the magic of Star Wars, and have fun. Third, I’d love for the public to know that costuming is a liberating and healthy way to celebrate your fandom and that we work to knock down stereotypes about fans of any genre. 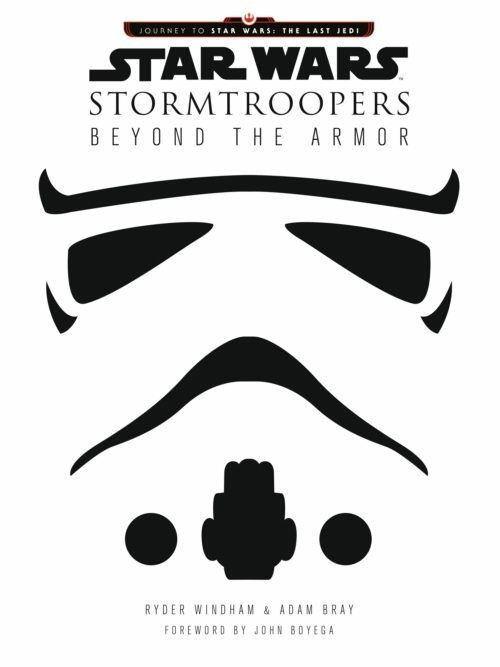 Our dedicated Star Wars podcast, Resistance Radio had the opportunity to sit down with Adam Bray and Ryder Windham to discuss Star Wars Stormtroopers: Beyond the Armor. You can listen to that episode below. Starting today, enter for your chance to win a copy of Star Wars Stormtroopers: Beyond the Armor by Adam Bray and Ryder Windham. This giveaway ends on Thursday, January 19 at 11:59 p.m. ET, so be sure to get your entries in ASAP for your chance to win. It is open to U.S. residents only. Fan of our book coverage? 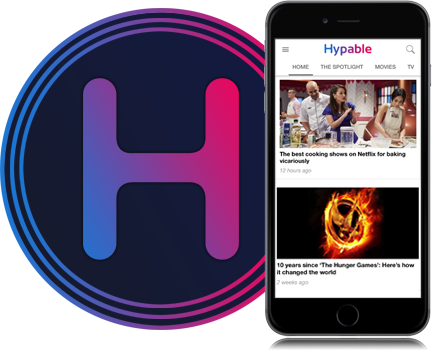 Why not join our Hypable Books Facebook group!